The Practical Pro Elite Katana has an extended tsuka compared to the rest of the Elite Series. The blade is forged in high-carbon steel and is differentially tempered using a traditional claying method. The Practical Pro Elite has a fine polish compared to others in the practical series. The rayskin-covered tsuka is wrapped with sueded black leather for its gripping characteristics and is double-pegged for safety. The saya is finished in a deep black lacquer with a black Japanese cotton sageo. 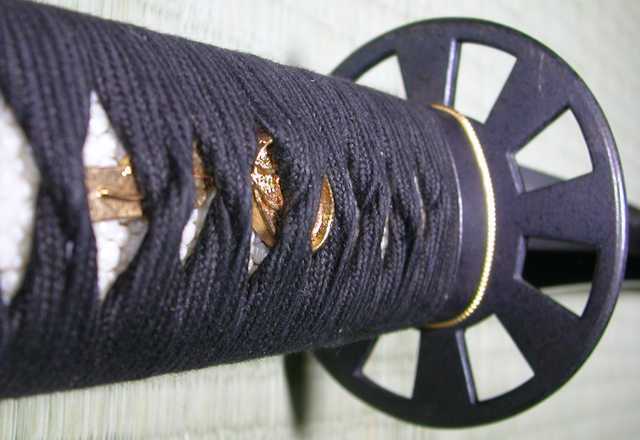 The fittings (koshirae) are finished in antiqued black iron. 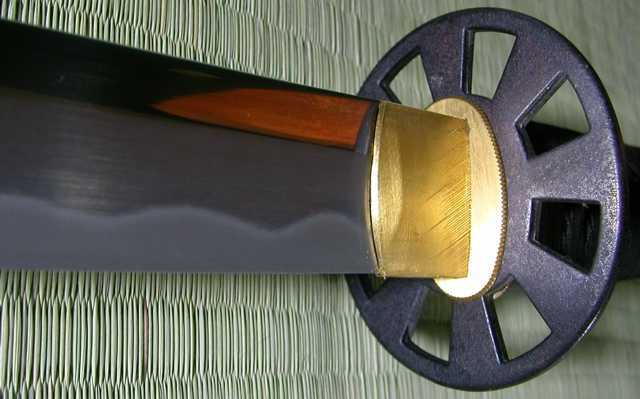 The katana features a round Kuruma tsuba, which represents the "Wheel of Dharma," symbolizing the Buddhist concept of the Noble Eightfold Path. Handle length: 35,56 cm, 14"
Overall length: 111,76 cm, 44"
Point of Balance: 10,16 cm, 4"